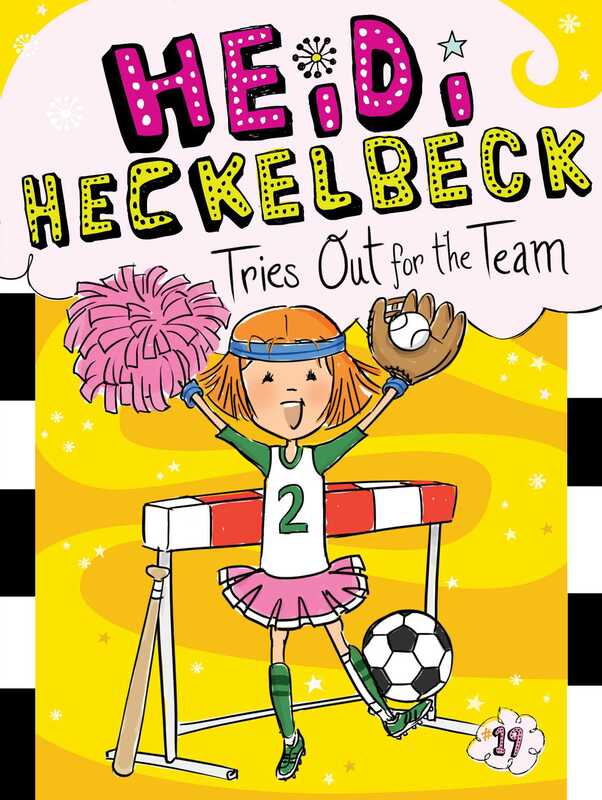 In the nineteenth Heidi Heckelbeck adventure, Heidi looks for the perfect sport to play. It’s time to sign up for sports at school and Heidi is excited (and a little nervous) to find the perfect fit. Lucy is great at soccer. Bruce is great at baseball. Heidi, well, the only thing she’s great at is being awful at every sport she plays! Can Heidi shake off her slump with a little magic or will Melanie’s teasing make her throw in the towel for good? Sporty cardboard signs dangled from the gym ceiling. Each one had something written on it in fat, colorful letters: RUN!, KICK!, JUMP!, and BATTER UP! There was even a banner on the wall behind the bleachers that said GET MOVING! Tables with ruffled skirts stood all around the gym. Each table had a poster with a different sport on it: SOCCER, BASEBALL, VOLLEYBALL, BASKETBALL, TRACK AND FIELD, and CHEERLEADING.